Washer repair is just one of the appliances that Area Appliance Service has been specializing in for about 60 years. Our company’s coverage spans the distance of Buffalo Grove and Arlington Heights and the surrounding suburbs in Illinois. 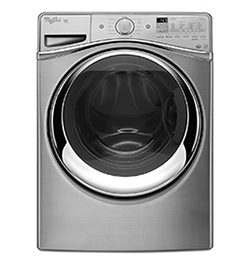 Our team is experienced in ALL types of clothes washers for your household including top loaders, side loaders, front loader, electric, and gas washing machines. Our techs have the skill to service or repair your defective washer to a like-new condition. 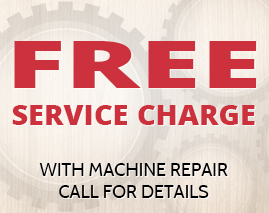 Speak to a live operator at (847) 459-8070 or fill out our form to schedule a service appointment or even just to discuss if purchasing a new machine is your most cost effective option. Comprehensive washing machine repair and support. Clothes washers are a standard in today’s homes or condos. Repairing a broken clothes washer can be delayed, but nobody wants to wash clothes by hand. Most of us wouldn’t even have a clue where to begin if it wasn’t for YouTube. Area Appliance Service will minimize your stress of a damaged washer machine and repair it back to good working order; reliable and affordable. Emergency same-day repair is available for your leaking washer. Area Appliance Service recognizes every popular washer manufacturer’s brand including Maytag, Whirlpool, GE, Amana, Kenmore, LG, and Samsung. Work vans come fully equipped and outfitted with the common parts and inventory to repair your clothes washer quickly and effectively. My clothes washer won’t spin or turn on. My washer machine is making a loud noise. My washer won’t agitate correctly. The clothes washer has excessive vibration. My washer is leaking water. Washer machine won’t start or turn on. The clothes washer will not spin. The washer machine stops in mid cycle. My washer door and/or lid won’t lock properly. My washer machine fills too slowly. Schedule Service for Your Washer Today! We extend a Satisfaction Guarantee on Labor and Appliance Parts for up to 12 months. If for any reason your washer repair is unsatisfactory, please call us back immediately within the warranty period and we will happily accommodate you to rectify the issue. Our customer satisfaction guarantee has been a key point to our exceptional customer service for the past 60 years. Family owned and operated, plus EPA licensed, bonded and insured!